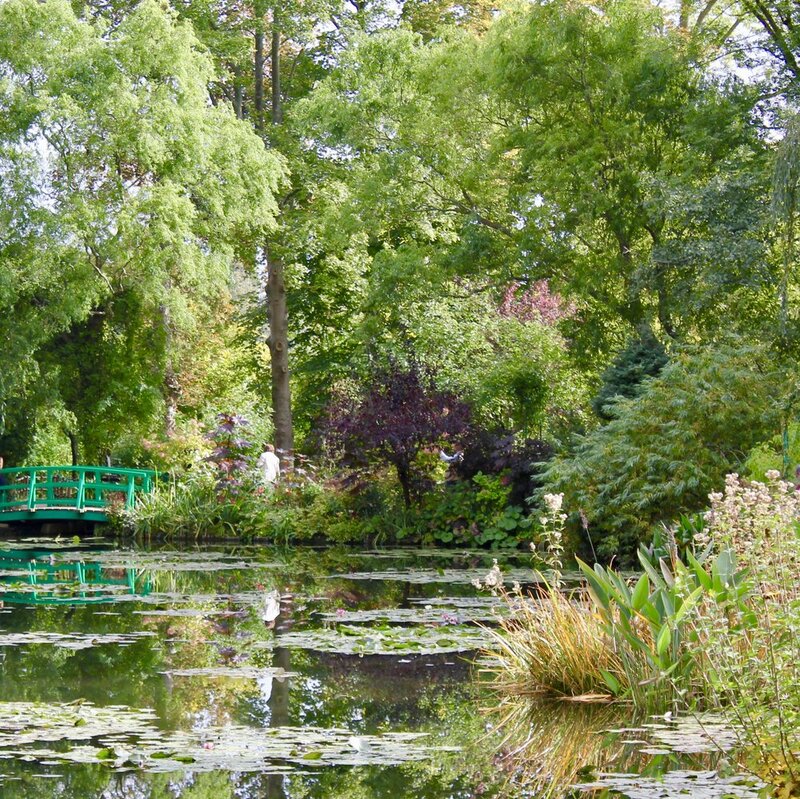 The colors in Monet's Gardens are ever changing, but due to Monet's careful planning, something beautiful is always making an appearance. Everything from pansies and crocus, to violets and forget-me-nots, daisies and anemones, to tulips, poppies, peonies, gladioli and snapdragons, any could be sprouting up. Collectively they paint quite the beautiful picture. Monet arrived in Giverny in 1883 and purchased an older cider house. He gradually designed and planted the garden himself, all with his future paintings in mind. Later after much success in the US with his artwork, Monet purchased some marsh land south of the garden and built the world famous pond. This pond inspired his love for water lilies (of which he incorporated many varietals) and his lacquered Japanese bridges, which is evident in his later works. Like this post? Want to read more about Travis and Nicole's travel adventures? Check out The Case For France - The French Markets. Sign up for the Sunday Shoutout, our weekly email newsletter providing a link to that week's blog posts and a few other odds and ends we are interested in.